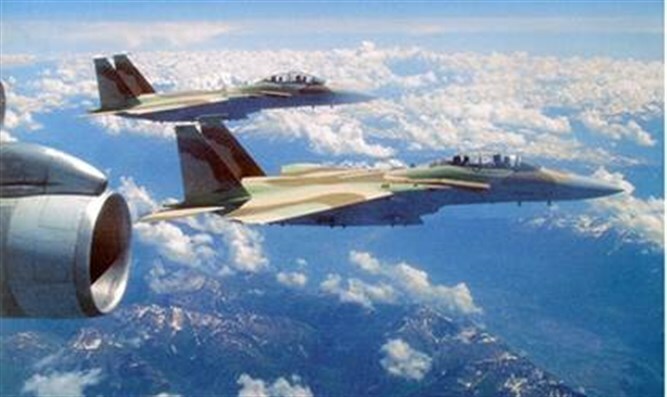 Al-Sharq al-Awsat says Israel and Russia agreed to “limit” Iran's presence, and allow Israel to target "menacing bases" in Syria. According to a report in a leading Arabic website, Moscow has given its consent to Israeli military strikes deep in Syrian territory. Al-Sharq al-Awsat reported Friday that Moscow and Jerusalem held talks Thursday concerning Syria and agreed to “limit” the Iranian presence in the south of the country. Israeli counterpart Avigdor Liberman met met in Moscow with his Russian counterpart, Sergei Shoigu, while Israeli Prime Minister Binyamin Netanyahu and President Vladimir Putin spoke about Syria over the phone. The two sides agreed to “limit” Iran, keep its forces away from the south, and to allow the IDF to target "menacing bases in the deep Syrian territories," according to the influential London-based website. A Russian source told Asharq Al-Awsat that Moscow refuses to offer details about the understanding with Jerusalem "to respect the balance in its separate relationships with each of Israel and Iran" – as the report phrased it. “Russia is somehow embarrassed because talks with the Israelis mainly focus on a plan to remove Iran and its forces from southern Syria,” the source added. On Thursday, Liberman told Shoigu that “Israel greatly appreciates Russia's understanding of our security needs, especially regarding the situation on our northern border."